my brothers and sisters i greet you all but my special greetings goes to the presenter of this topic my brother may the almight god bless you. :Dthat is very good news but from now people should be very carefull whill buying fuel because some filling station will soon start mixing kerosen in fuel and sale to people in the name of fuel which will cost us alot of damage. I don't blame them i blame this country is the fault of our goverment. 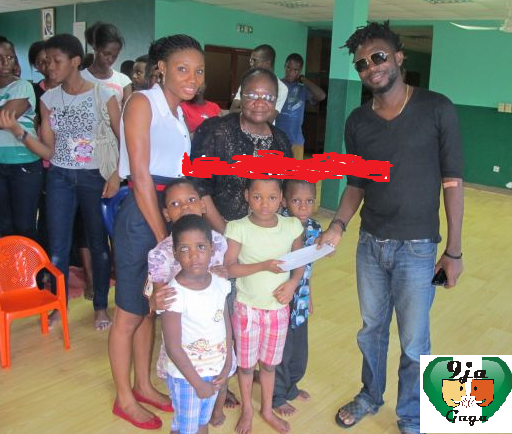 Ailing music producer and artist OJB a few days ago donated N200, 000 to Hearts of Gold Children Hospice situated in Surulere. The money OJB donated was part of the money he raised for his kidney surgery. He felt it was important to give back. Good of him.